At the March seminar Peter Bisschop and Elizabeth Cecil (Leiden University) gave a joint presentation about the preliminary results of their research on inscribed columns and civic religion in Gupta India. They have recently returned from a fieldwork trip to Central India where they and Dániel Balogh (British Museum) visited Gupta and early post-Gupta sites. The findings of this trip were incorporated into their presentation in which they emphasised that the study of pillar inscriptions needs to take more consideration than before of the pillars as physical objects, as well as the monumental sites as they would have appeared to historical visitors. Cecil discussed the social and religious context of columns in early India, accompanied by textual references collected by Bisschop. Though image and text, they showed that the columns could have been sites of ritual power, as well as conveying a political message. Discussing the material semantics of these structures, Cecil argued that they held multiple meanings for different audiences. In this light, they discussed three specific column sites studied in their fieldwork: the Sondhni column of Yaśodharman near Mandsaur (western Malwa), the Eran column of Mātṛviṣṇu and Dhanyaviṣṇu (of the time of Budhagupta, in eastern Malwa), and the Mahākūta column of Maṅgaleśa (in Karṇāṭaka). As a different aspect of the connection of epigraphs to their monumental context (based on the same fieldwork trip), Balogh gave a preliminary report on the inscriptions of the late Gupta temple of Charchoma (near Kota, Rajasthan). 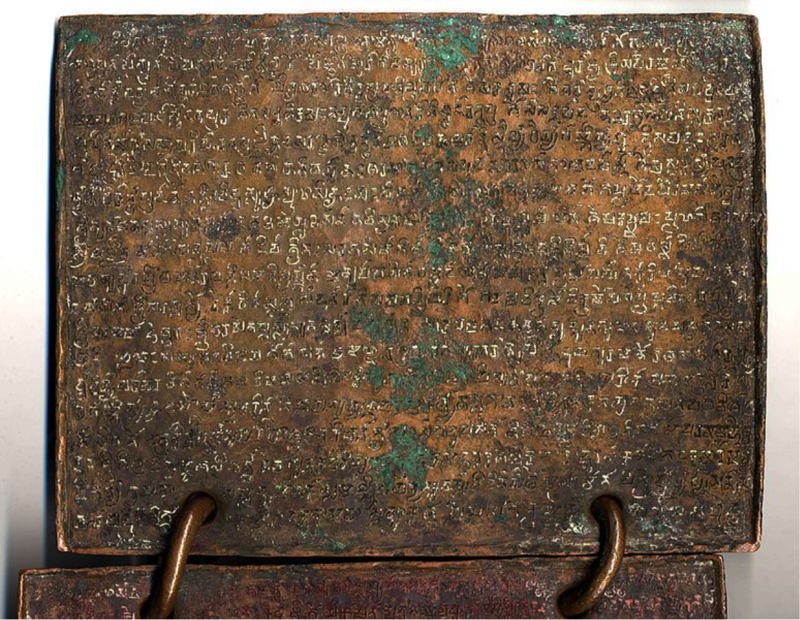 One of these appears to consist of recipes for incense presumably for use in local ritual, while two others praise donation and temple construction without reference to any particular act, probably engraved with the intent to encourage donations for the maintenance of the temple and the community attached to it. In May we had a workshop on Bodhgaya, the famous site of the Buddha’s enlightenment, which has been a place of pilgrimage for many centuries, though it fell into dilapidation with the decline of Buddhism in India from around the 14th century, before its renovation in the 19th century. The workshop took a multidisciplinary approach to the site, with papers on the archaeological explorations of Bodhgaya, objects that were left there by pilgrims, the oldest known Buddha image from Bodhgaya, inscriptions of donors and others, and descriptions of the site by Tibetan and Burmese visitors over the centuries. At the November seminar project researcher Dániel Balogh introduced the epigraphic database that is to be one of the outputs of the project and talked about the possibilities of exploiting information technology for such purposes. The preparation and web-based publication of searchable electronic versions of any text including epigraphic texts is in itself a tremendous aid for all scholars. In addition to the diplomatic edition of an inscription, an electronic version can contain practically unlimited meta-information. 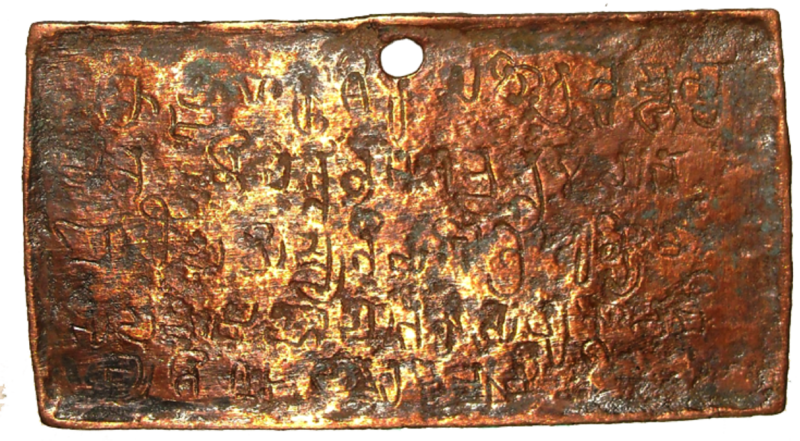 This may pertain to the inscription itself (legibility issues; palaeographic considerations), to the text as an abstract entity (clearly trackable editorial alterations; metrical, semantic and syntactic structure), and to the inscribed object as a physical entity (descriptive data; history). The EpiDoc standard is a TEI-XML system for encoding such properties of epigraphs in a way that ensures compatibility and allows complex querying of the available texts. This standard was developed with Latin and Greek inscriptions in mind and only a few pioneer projects have applied it to South(-East) Asian texts. Adapting it for Sanskrit and Indic scripts poses a few hurdles on account of the fusion of word boundaries (saṃdhi) and to the syllabic nature of such scripts, but these hurdles can be overcome. The presentation also looked briefly into other current technologies and software to aid epigraphic work.